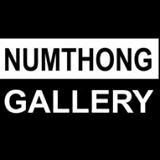 The exhibition showcases of Numthong Sae Tang’s collection on the occasion of 20th anniversary of Numthong Gallery. Various kinds of artwork are selected for this show. This exhibition features works by famous Thai and international artists like Chamruang Vichienket, Prayat Pongdam, Niti Wattuya, Montien Boonma, Tienchai Nokngam, Somboon Hormtienthong, Kamin Lertchaiprasert, Surasi Kusolwong, Michael Shaowanasai, Natee Utarit, Niramon Hoitaku, Utai Nopsiri, Nattawut Singtong, Jirachaya Pripwai, Bui Xuan Phai and I Gusti Ayu Kadek Murniasih joining in the show.